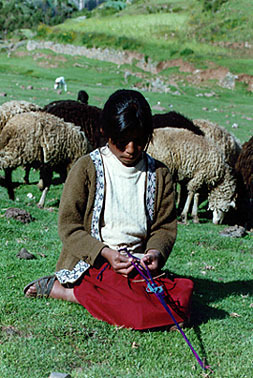 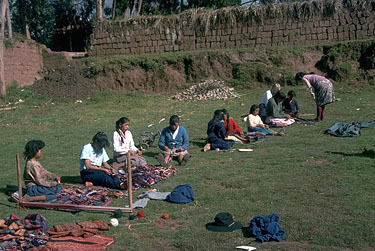 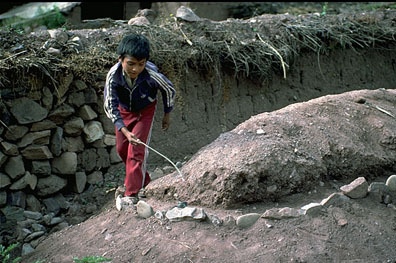 A boy uses a forked stick to make the pattern “nawi awapa” which means “eye” in the Inca Quechua language. 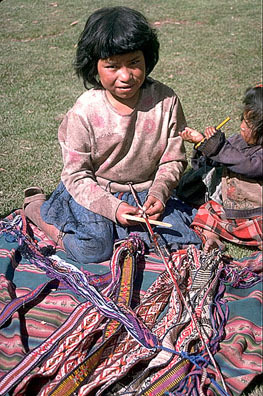 Boys and girls learn “nawi awapa” which they can use on its own (a strap for a bag, for example) or the eye pattern can be woven to the edges of weavings. 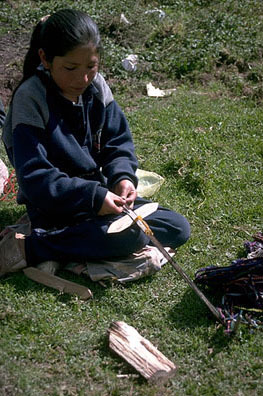 “Nawi awapa” does not appear flat like a “jakama.” It is tubular. 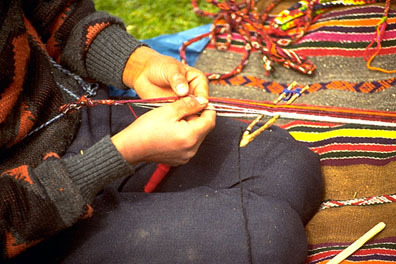 Use of any text or images prohibited without permission.